Drone photography, which produces amazing results from up in the air, has become increasingly popular in recent years — but it has still largely been confined to professionals. Now US-based photo service Cooliris wants to bring such photos instantaneously into the hands of consumers via private groups so users can share them on their iPhones or iPads. Cooliris today announced a partnership with drone manufacturer Aibotix, becoming the first consumer photo application to integrate with drones. 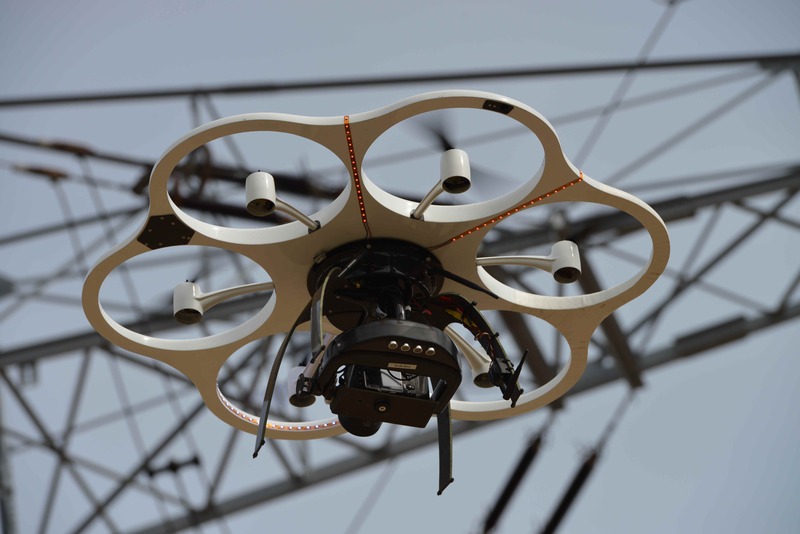 This means customers who use Aibotix’s next-generation multicopter — which has a built-in camera mount — to capture photos can have their images transferred in real-time to Cooliris’ private groups. Cooliris is primarily a service aimed at solving the problem of an individual’s fragmented photo-viewing experience, by importing photos from a multitude of sources into a one-stop viewing platform. Recently though, it has started to boost its group messaging function as it seeks to become what can be understood as a media hub with an added layer of personalized texting in groups. “Consumers will be able to capture otherwise inaccessible aerial angles of landscapes, such as the Grand Canyon, or close-up action shots of surﬁng, skiing and other immersive activities, and share them with private groups of friends as the moment unfolds in real-time,” Cooliris says. It’s likely that hiring a drone to capture photos may still be prohibitively expensive and could deter most everyday consumers from being able to access this technology, but integrating it into a consumer photo app may just increase its profile. Here’s a video of how an Aibotix drone works to capture photos.